A 501(c)(3) California non-profit corporation dedicated to serving the worldwide online animation community. Use this button on your own website or blog to link to us. Help us spread the word! Animation Resources depends on your contributions to support its services to the worldwide animation community. Please contribute using PayPal. Provides resources for self-study for animation professionals, students, educators and researchers. One of the principle goals of Animation Resources is to tell the history of animation, not by character or studio, but through the lives of the people who made the cartoons. No single animator’s life and career tell the history of animation better than Grim Natwick’s. Grim started in the 20’s animating silent Krazy Kat cartoons at the Hearst Studio in New York. He ended up at Fleischer, where he created Betty Boop. 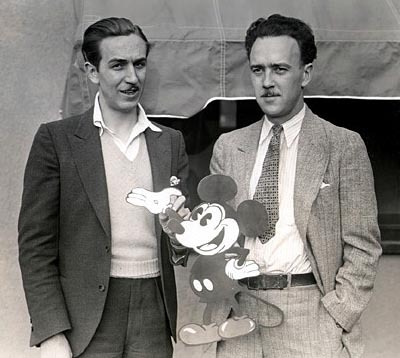 He received an offer to move West to join Walt Disney, but friends advised him that Ub Iwerks, who had just left animationresources.org to form his own studio, was the real creative spark behind the Mickey Mouse pictures. So Grim joined Ub instead, and ended up running the studio. A few years later, Grim became excited with the prospect of a feature length cartoon, so he went to Disney, where he ended up animating the title character. He returned to the Fleischers in Florida for a spell, and ended up back in Hollywood working for Walter Lantz on the wartime Woody Woodpecker cartoons. At an age when most of his contemporaries were retiring, Grim jumped into the modern stylization of UPA with both feet, and was instrumental in setting up their New York offices. He worked with Culhane, Ward and Melendez; and in his 80s, animated on Richard Williams’ Theif and the Cobbler. 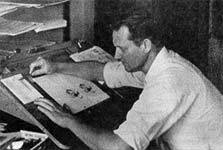 Here is a life that spanned the entire history of animation. I’m very proud to introduce the first bit of information into the biographical database… an interview done with Grim in the at Animafestival 1982 produced by Reg Hartt. Michael Gowling ran a tape of Grim’s comments. In the interview, he talks about his entire career… animating Snow White, experimenting with timing on commercials at UPA, and sharing insight on the various people he worked with over the years. 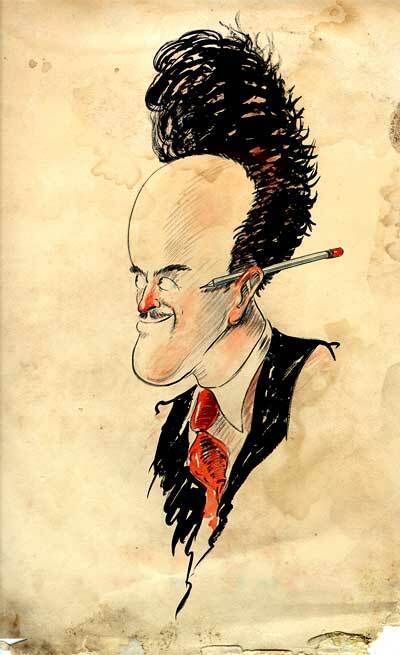 One particularly interesting part of the interview deals with Ub Iwerks, and Grim answers a question that many animation historians have been puzzling over for years… in his own unique way. Thanks again to Reg Hartt and Craig Davison. This posting is part of an online exhibit entitled Grim Natwick’s Scrapbook. This posting is part of the online Encyclopedia of Cartooning under the subject heading, Animation. This entry was posted on Wednesday, March 21st, 2018 at 12:26 PM	and is filed under exhibit, grim natwick, history, iwerks. Last Call For The FREE DOWNLOADS! Visual Artists: Spend The Most Important 20 Minutes Of Your Life! Help Celebrate Animation Resources 15th Anniversary: Download Our Treasures! Why should an illustrator join an animation group? We might be living through a potential Renaissance. Why aren’t you a part of it? Meta: Why Do We Need An Animation Archive? Animation Resources is a 501(c)(3) California non-profit corporation. We are providing self-study resources and training material to animation professionals, cartoonists, designers, Illustrators, students and researchers. Animation Resource's Director, Stephen Worth can be reached at... sworth@animationresources.org. © Animation Resources Incorporated. The material on this website is protected by copyright. It is not to be copied or distributed without the prior written authorization of Animation Resources Corporation. We appreciate links to our blog, but please link to one of our web pages. Do not directly link to any media file.